rajan earns a profit of rupee 1 by selling one pen and suffers a loss of 50 paisa by selling one pencil. one day he earns 20 rupees, if he sells 50 pens how many pencils did he sell ? 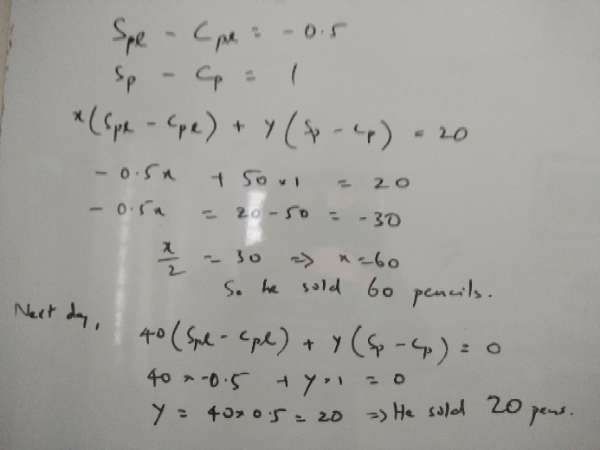 the next day he earns neither profit nor loss, if he sells 40 pencils and how many pens did he sell ?